Whew! When I saw the headline in Google reader, I was half expecting an underwear shot or bolts coming from your head. But this is quite cute! Awesome!! 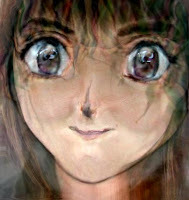 When I was in high school, I was obsessed with drawing giant eyes, anime style. Very weird. Very cool. My daughter, Anime, would totally love it! Very cool ... love the big bright eyes. 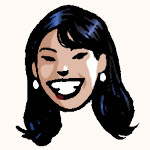 Michael Jackson as an Asian Woman!